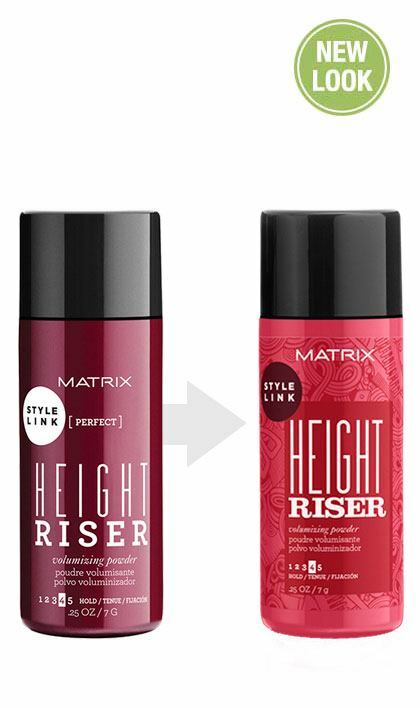 Share https://www.matrix.com/stylelink/products/perfect/height-riser Height Riser Volumizing Powderhttps://www.matrix.com/~/media/images/product-images/stylelink/2018/sl_heightriser_reno_reflect.jpg Instant volume and separation with shine and adds grip and targets roots, without dulling hair. 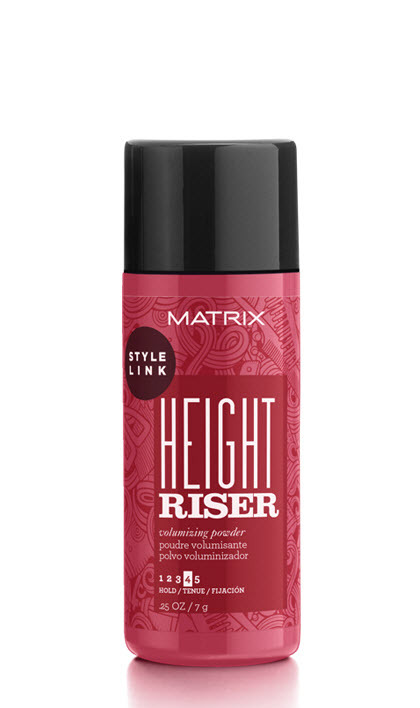 Matrix's Height Riser hair volumizing powder is your link to instant volume and separation with shine. This lightweight hair volume powder adds grip and targets roots, without dulling hair. Volume, Texturizer. 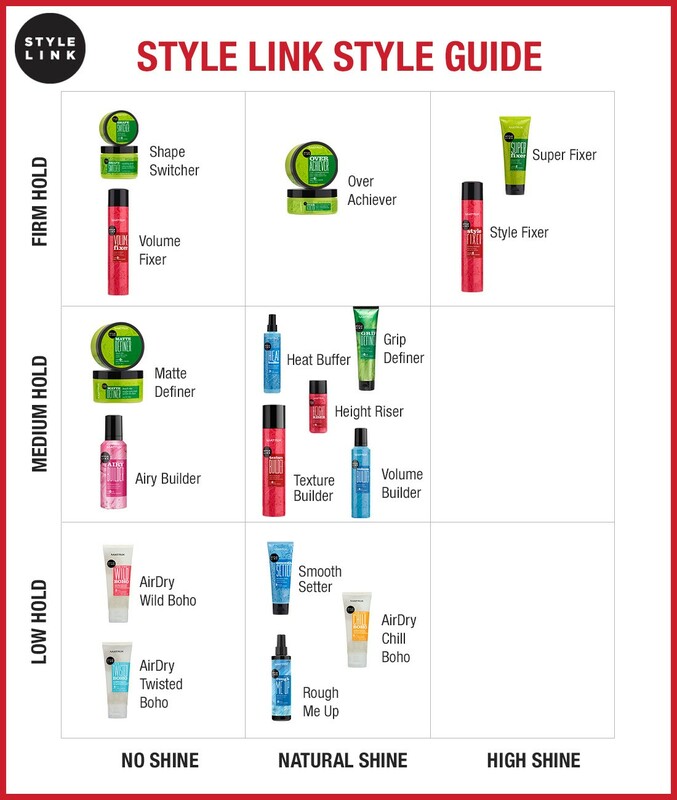 Lightweight grip dust.